← 8th Annual Rescue / Shelter Portrait Fundraiser is here! 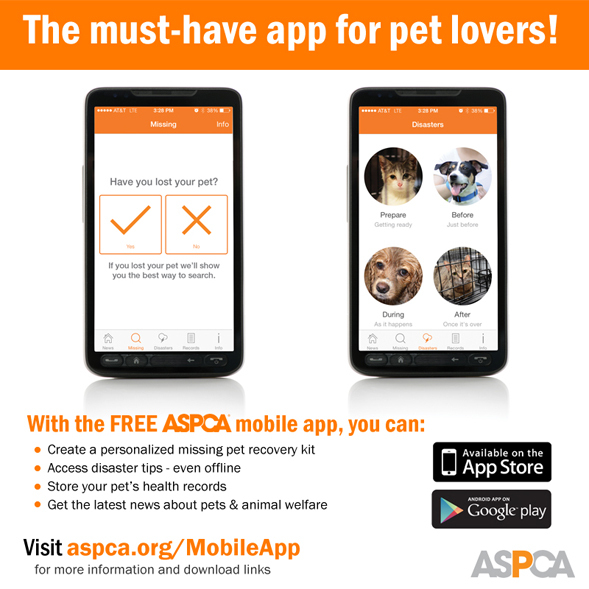 The ASPCA mobile app is a must-have app for pet owners. This free app shows pet parents exactly what to do when a pet goes missing. It also allows pet owners to store vital medical records, and provides information on making life-saving decisions during natural disasters. See adorable pet photos from Instagram. To download our free app from your app store!